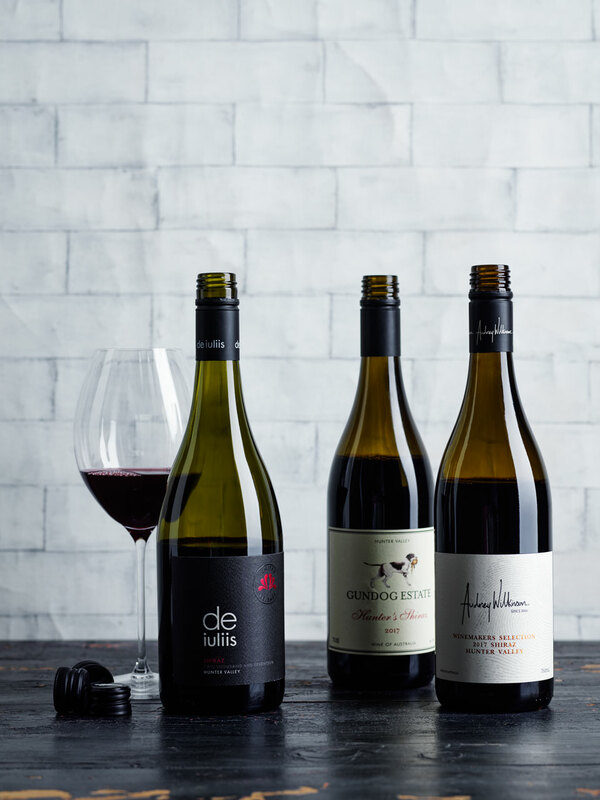 GT WINE's expert panel was anxious to sink its teeth, or rather noses and palates, into Hunter Valley's 2017 shiraz following an excellent vintage. As the longest extant Region GI in Australia it’s perhaps not surprising the Hunter Valley has gone through periods of success and near failure. Quite apart from a bank crash, the competition from interstate wines after Federation and from the new irrigation areas and the Depression of the 1930s, there came the rise of fortified wines, which rose to about 95% of wine sales in the 1950s. The Hunter’s low point was reached when Audrey Wilkinson died in 1962 and his Oakdale vineyard lay unloved, failing to reach its centenary by just four years. When Max Lake planted Lake’s Folly in 1963 it was the first new vineyard in the Hunter in living memory. Back in 2008 a publisher asked me to write a book on the Hunter Valley’s wines – the reverse of the way authorship usually works. He asked me how many companies and cellar doors did I think there were. “About 40, maybe 50,” I replied. I found about 130 and, as copy deadline reared, I realised I could probably have found more. As Len Evans told me – he kindly wrote the book’s preface – “a book is never finished”. The Hunter’s warm, subtropical and relatively maritime climate brings some plusses. Early budburst and warm nights – ripening continues at night – lead to an early harvest, but with the problem of this occurring in the peak of summer. That timing also suits rain depressions sent from Queensland. Comparatively higher humidity can reduce vine stress, but can also bring disease. If the Hunter Region didn’t exist, you’d hardly choose to select it. Since 2000 we’ve seen vintages like 2001, 2008, 2010, 2012, 2015 and 2016 when few memorable reds were made and sometimes few whites. But when summer weather delivers, the result is extraordinary wines unlike any others. In my early wine years, half the classic wines I remember were Hunters. 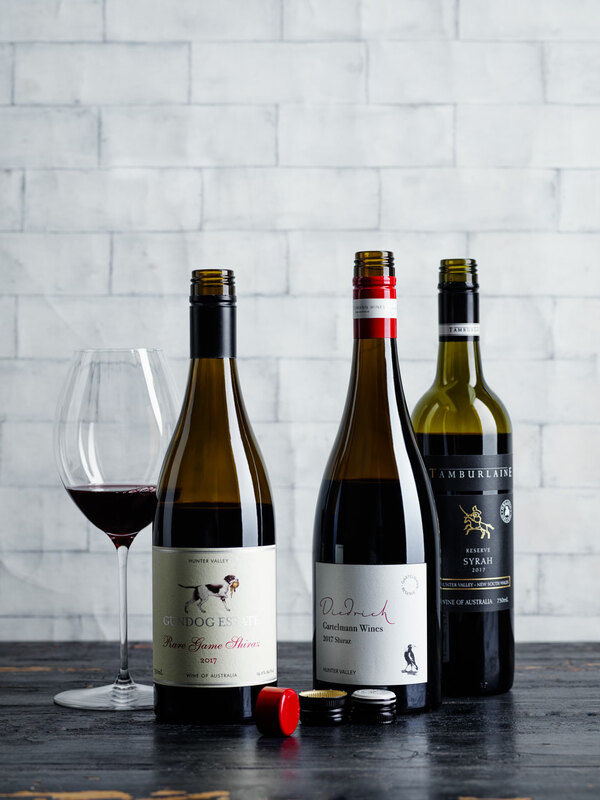 After the two uneven vintages of 2015 and 2016, the Hunter’s fortunes recovered with 2016/17. An excellent vintage was the result, finding our panel anxious to assess it. Our regular tasters, writer and retailer Mike Bennie, educator and writer Peter Bourne, writer and author Huon Hooke, wine judge and writer Toni Paterson MW and me, wine consultant Nick Bulleid MW, were joined by Head Sommelier at Aria Restaurant Alex Kirkwood. The lower Hunter had good winter rain, but October and November totals and rain days, important for vine growth, were lower than normal. January and early February were dry and hot. With the changing climate, all of us are getting used to extreme heat at some time during summer, but the temperatures of 44, 47 and 46°C on 10 to 12 February wouldn’t have been welcomed by anyone, let alone winemakers. Nevertheless an early start to the harvest meant that many grapes had been picked by then. As expected, we found a large number of excellent wines. 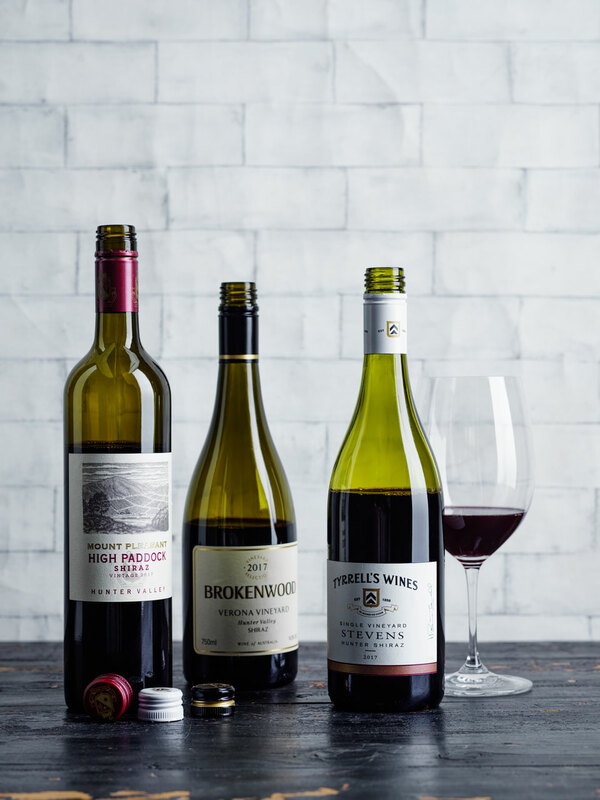 The 2017 vintage has produced strongly built, yet mostly medium- bodied shiraz wines, with most needing many years to show their best. I suspect a distinctly firm tannin edge will always be there, and some wines challenge the “medium-bodied” descriptor, but the wines have the dense fruit to match. Disappointingly, there was also a small number of truly poor wines. The 2018s, by the way, are also excellent, with rich fruit and altogether softer tannins and, as I write, the 2019 vintage looks very promising. Could this be another successful run for this erratic region, like 2004/2005/2006/2007? Time will tell. Inevitably, with over 37 wines of the same grape variety, region and year there will be similarities in our descriptions, but as far as possible we have concentrated on the distinctive differences between them. I’m sure you’ll find plenty to delight you. 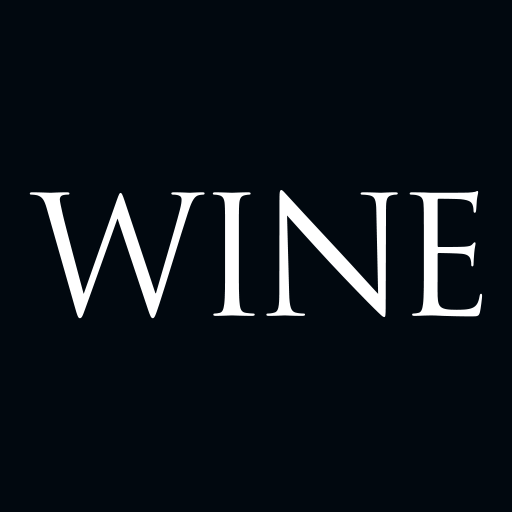 A few of the wines are yet to be released – some will not see the shelves for a couple more years – and so prices at the time of sale may differ to what is listed here. Gundog Estate's Rare Game Shiraz scored 97 points. 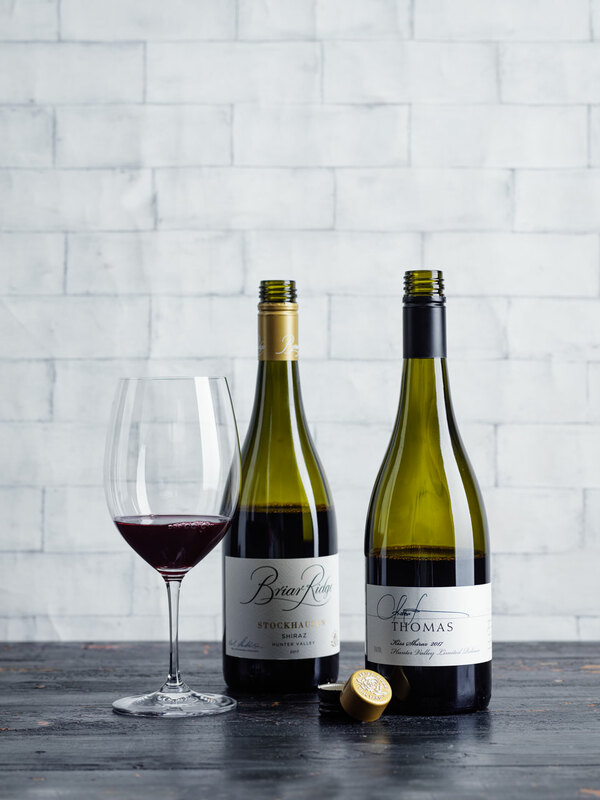 2017 Briar Ridge Vineyard Stockhausen (A$35) is more full bodied than its stable-mate, with plenty of dark fruit, savoury flavours and firm tannins that coat the finish. Bennie found “sweet-sour fruit scents with wet herb, grassy notes, a touch of malty oak”. He continued, “The palate is quite stern and tart with sherberty acidity. It shows some good sour cherry fruit character but feels a bit unresolved right now and malty oak is a feature again. A bit short and shrill to close, but the gist is pretty good. You can see it maturing well.” Hooke found some reduction. 2017 David Hook Old Vines Pothana Vineyard Belford (A$85) polarised the panel, with Hooke writing, “The bouquet is very fruit driven and fresh, with a hint of Chinotto. The palate is succulent, fruit-sweet and deliciously medium bodied, with fine, discreet tannins. A lovely fruit-driven style which needs time to gather complexity.” Paterson and I were less keen. I found leafy overtones and thought the tannins a bit green, although I agreed on the wine’s fragrance and suppleness. 2017 Gundog Estate Hunter’s (A$40) gained full marks from Bourne. “Enticing aromas of fresh raspberry and boysenberry,” he began. “Lots of warm spices (cinnamon bark and caraway) and a sense of energy. The same energy is reflected on the palate with juicy flavours of redcurrant and damson plum with some red liquorice and cedar. The finish is long and fine.” I noted some development, with hints of dried herbs adding complexity to the red fruits to give a sweet/savoury outcome. 2017 Gundog Estate Rare Game (A$60) had universal support. Hooke led the way, telling us “a powerful wine. An intense dried-herb and dark-plum aroma.” He continued, “The wine is lush and sweetly fruited as well as firmly structured with abundant dry tannins. Structure a plus! Big tannins and grip, a wine for the long term. Fruit is to the fore. Concentration and persistence. ” I found the tannins finer, but they are certainly dense. The rich, dark berry fruit and well-handled cedary oak are nevertheless more than a match for them. 2017 Hungerford Hill St Vernay Vineyard (A$65) was a clear choice for Paterson. “Bright red fruit with an overlay of fine oak,” she started. “Pleasing savouriness. Impressive flavour depth which builds with time in the glass.” That savouriness gives some nice earth and leather complexity, which adds to the wine’s sweet fruits. The overall structure and balance make the wine accessible now, yet it will age elegantly. 2017 Mount Pleasant High Paddock (A$35) brought some dissent. Paterson spoke for the majority. “Excellent fruit clarity,” she said. “Musk and raspberry aromatics. A composed, savoury palate with papery tannin and excellent flavour depth.” Kirkwood, however, found the tannins “sinewy” and I noted “dry and stalky”, although I did find the fragrant red fruit attractive. 2017 Mount Pleasant Maurice O’Shea (A$250), however, found Kirkwood enthusiastic. “Excellent wine!” he began. “Bucket loads of complexity from dried herbs to cured meats. Savoury, yet a luscious fruit sweetness gives harmony to the wine. Graphite and mineral-laden with ripe raspberry and mulberry. Fine and detailed finish off the back of a very well crafted frame. Great winemaking, even better fruit.” I could add little, except that it’s clearly destined for the long haul. 2017 Pepper Tree Tallavera (A$65) gained top marks from Kirkwood. “Vibrant raspberry and clove on the nose, mixed with pine and pencil shavings,” he noted. “The palate is intriguing and multi layered and loaded with complexity. Dried thyme and oregano. On the finish a wild and rustic wine caught in between New and Old World with lovely medium-weighted fruit yet ferrous and graphite tannins to finish. Cracking wine!” It’s certainly intensely flavoured, with a round, supple start that grows to a pithy, firm finish. There’s length, too. 2017 Poole’s Rock Post Office (A$45) reminded Bennie of “a mix of rose water, red cherry, miscellaneous spice and floral character.” He continued, “There’s a nipped-and-tucked feel to the palate, just shy of medium weight, tight in graphite tannins and tart in acidity, almost too lean in fruit character but maybe just pent up and ready for cellaring. Quite a precise feel too. Should yield with time and shows good potential.” I liked its mixture of sweet, red-berried and savoury flavours, the latter suggesting barrel-fermentation. Some heat from alcohol doesn’t upset the balance. 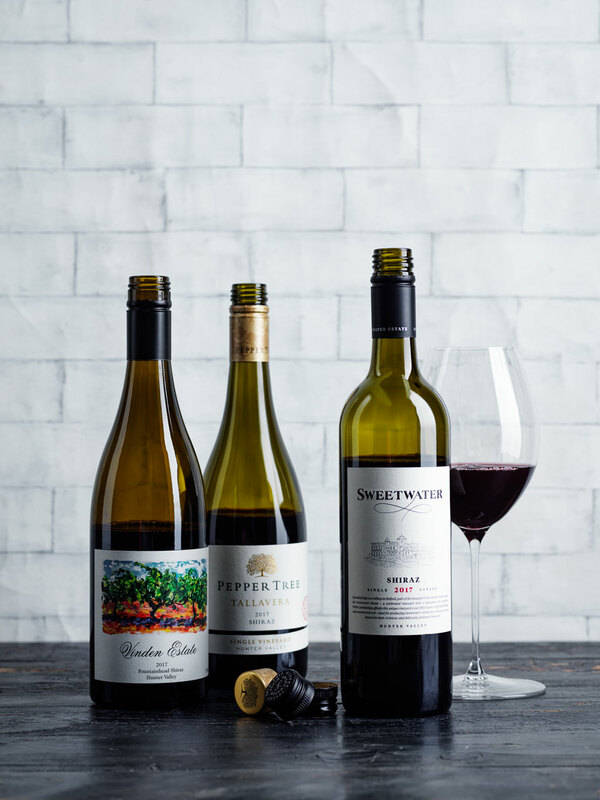 2017 Sweetwater Estate (A$65), sitting amongst many bigger, firmly structured wines, reminded me of the classic red-fruited, fleshy and soft Hunter red of old. I loved the perfumed raspberry fruit and lush, medium-bodied palate. There’s beautiful depth of flavour and the tannins are fine. Bourne initially noted a “reluctant bouquet”, but then “cranberry and redcurrant with some exotic spices in the background.” He continued, “The wine has a high-toned palate with refreshing acidity interplaying with the silky tannin profile. A racy red with a tangy finish.” It will age gracefully. ‍‍2017 Tamburlaine Reserve Syrah (A$44) brought divided opinions. “Highly intriguing wine,” thought Kirkwood. “The nose is dusty and earthy with spearmint and the tone of distant smoke. Dare I say tar and roses in syrah? The palate is gentle and elegantly weighted with a slight jammy tone on the finish. A little extra extraction adds to the weight and density well.” Bourne and I were less enthusiastic. I thought the greener, stalky characters from whole bunches was too obvious, although I did like the combination of red fruits and savoury complexity. 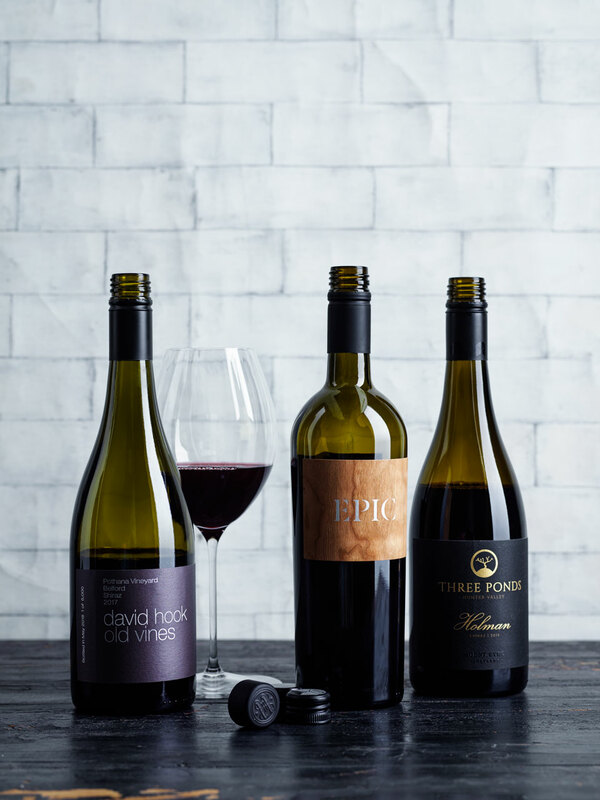 ‍2017 Thomas Wines Elenay Barrel Selection (A$55) appeared to me quite a chunky style, with plenty of tannin extraction adding to the natural power of the 2017 vintage. It has big flavours to match. Paterson found it more restrained, writing, “Cherry pie and vanilla ice cream accents. Fleshy and plush on the palate with the fruit firmly in the red sphere. Gorgeous mid-palate intensity and impressive length. Appealing papery tannins on the close. Youthful – room to grow.” I won’t explain the wine’s name, but it is genuinely a barrel selection. 2017 Thomas Wines Kiss (A$85) also appealed to Paterson. “A flavoursome shiraz, medium-to-full in body,” she wrote. “Good fruit density with a fleshy and expansive palate. Dark plum and cherry flavours that flow seamlessly from the mid-palate right to the finish. 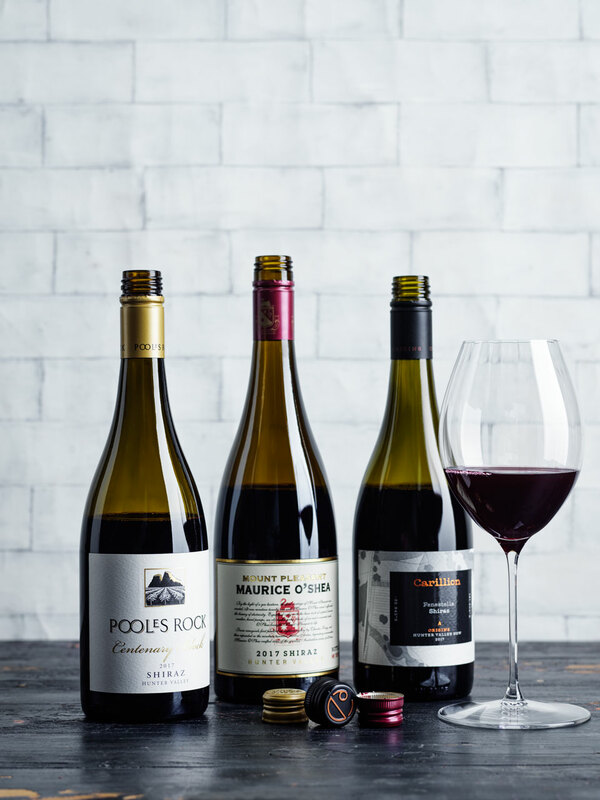 A fruit-focused wine, that is not particularly regional, though it is a style that many will enjoy.” Regular buyers of this wine will be pleased at the full body, distinct new oak and voluminous dark fruit flavours they have come to expect. 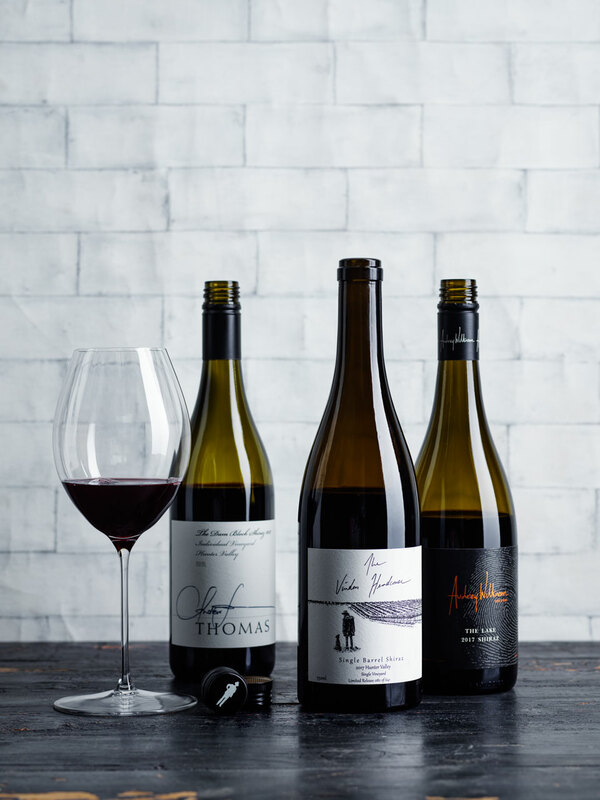 2017 Thomas Wines The Dam Block (A$45) ticked all boxes for Bourne. “Intense aromas of dark plum, boysenberry and mocha chocolate,” he wrote. “It has a bold palate with oak and fruit tannins adding depth and density. There’s lots of power here which bodes well for a long future.” I ticked “power” too, finding the nose closed to start, but opening to show dense dark and red fruits. Firm, dry tannins match these. 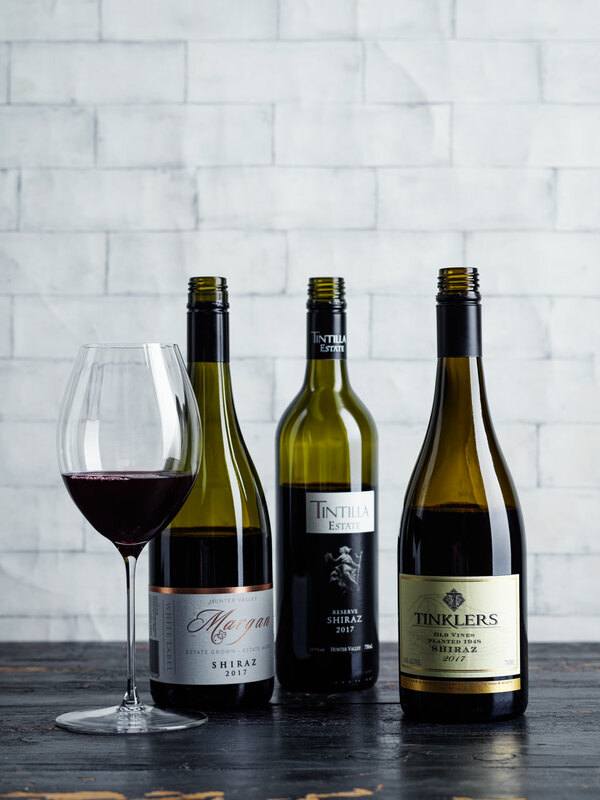 2017 Tintilla Estate Reserve (A$40) appealed strongly to Hooke, who thought it a stand-out. “The bouquet is concentrated, like essence – bright and ripe, with blackberry and black cherry adorned with toasty, charred oak and hints of graphite and tar. A very full-bodied, powerful wine, dense and profound and promising to reward long cellaring.” I agreed. This is certainly a big wine, heading into black plum flavours. The oak dries the tannins somewhat, but there’s enough richness to match. 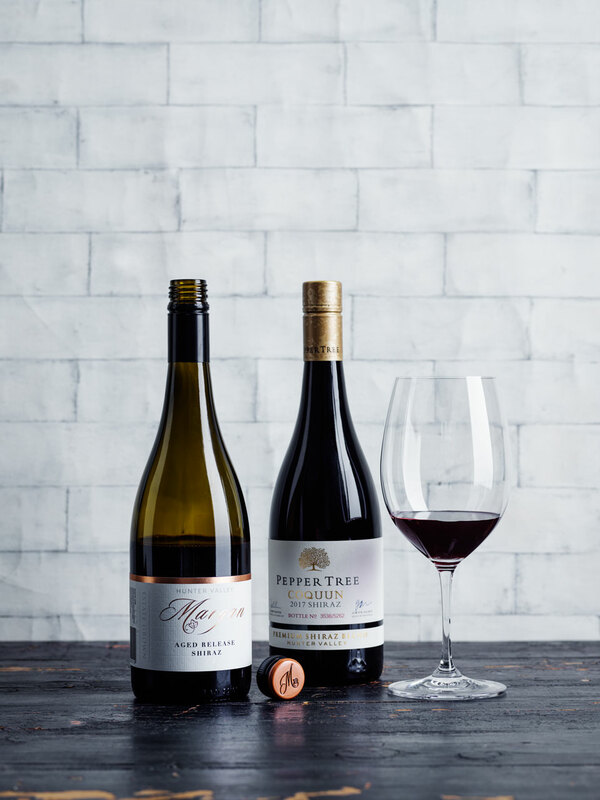 2017 Two Rivers Vignerons Reserve (A$30) brought a range of opinions. Bourne had no doubts, writing, “Bright red fruit aromas with a touch of cumin and fresh walnuts. There’s plenty of tannin here – both fruit and oak giving shape and structure to the rich juicy fruit. A zesty finish gives the final flourish.” Hooke and I had qualifications. I thought the tannins had a green edge, but liked the rich, raspberry flavours and nice touch of oak. 2017 Tyrrell’s Mother’s Single Vineyard (A$45) shows great fragrance, with sweet raspberry and cherry predominating. The palate’s supple and medium bodied, yet has great depth and length of flavour, and finishes with fine tannins. Bennie wrote, “Faint malt, red cherry, sour raspberry notes, touches of herb and spice, sniff of fennel. Succulent and fresh to taste. Lemony acidity prominent in tart, red berry fruitiness and general zesty red wine feel. Lean, fine-boned, expressive style, best seen with cellar time, one feels.” This reminded me of the Tyrrell’s wines of many years ago. It’s a classic. 2017 Tyrrell’s Stevens Single Vineyard (A$45) combines darker fruit with its red flavours and more substantial tannins than Mother’s above. “Bright and racy, youthful and full of life,” wrote Kirkwood. “Crunchy red cherry and cranberry with a whiff of pepper and spice. Palate is fine, taut with gentle fruit ripeness giving some volume to the wine with continued complexity through the palate to the graphite finish. Elegance, a deft hand in winemaking and the purity of perfectly picked fruit. Looks great in the glass now and I’d probably drink it before it changes its game.” I agreed the wine’s drinking well now, but suspect it also has a bright future. 2017 Vinden Estate Headcase (A$60) had all round support, with Bennie speaking up. “Leads with kirsch and red cherry, raspberry and sweet spice, faint herbal and peppery notes. Palate is crisp and vibrant – really fruit-pure but hemmed with fine, graphite tannins, fennel herbal character and a rasp of blood orange acidity and herbs to close. Super vibrant and refreshing expression, light on its feet but full of detail. Really enjoyable!” I admired its rich red and dark fruit and good length. Disclaimer: Nick Bulleid is a shareholder in Brokenwood Wines. Only notes from other tasters appear above for the wines reviewed.